A few weeks ago we got a nice object lesson in the rhetorical strategies the right tries to rebut arguments about itself. Whether these are deliberate trolling strategies or just ones that propagate among the right in a more-or-less organic fashion, they are still fascinating to observe. My point here in collecting them, beyond the bemusement they may produce in seeing them together, is as part of the general project to understand those strategies and so to think about why the right relies on them, and how and why they work to whatever extent they do work. Roubini’s retweet prompted responses that are supposed to show that Bitcoin is not racist (whatever exactly that is supposed to mean–as I’ve pointed out many times, this is not actually the thesis of my book ThePolitics of Bitcoin, despite what definitely non-rightist and non-racist commentators may say, having fully informed themselves of the book’s title), the people around Bitcoin are not racist, and Bitcoin is definitely not aligned with the political right. However, to the rest of us, these responses are… curious. To anyone to the left of #MAGA, they might seem to be proving Roubini’s point. The fact that people can think they rebut that point is part of a larger phenomenon of what I call “right reaction” that deserves separate treatment. It’s Not Just What We Tell Them. It’s What They Infer. Many of us seem to think that “personal data” is a straightforward concept. In discussions about Facebook, Cambridge Analytica, GDPR, and the rest of the data-drenched world we live in now, we proceed from the assumption that personal data means something like “data about myself that I provide to a platform.” Personal data means my birthdate, my gender, my family connections, my political affiliations. It is this data that needs special protection and that we should be particularly concerned about providing to online services. This is partly true, but in another way it can be seriously misleading. Further, its misleading aspects trickle down into too much of our thinking about how we can and should protect our personal or private data, and more broadly our political institutions. The fact is that personal data must be understood as a much larger and even more invasive class of information than the straightforward items we might think. Aggregate data, as I’m using the term here, refers to data that is collected at the level of the group, but does not allow drilling down to specific individuals. In both cases, the lack of direct personal identification may not interfere with the ability to target individuals, even if they can’t necessarily be targeted by name (although in the case of anonymized data, a major concern is that advances in technology all too often make it very possible to de-anonymize what had once been anonymized). GDPR’s impact on aggregate data is one of the areas of the regulation that remains unclear. To understand why this data that may on the surface seem “impersonal,” but can in fact be highly targeted at us as individuals, consider, for example, one form of analysis that is found all over the Facebook/Cambridge Analytica story, the so-called Big Five personality traits that sometimes go by the acronym OCEAN: openness, conscientiousness, extroversion, agreeableness, and neuroticism. Researchers and advertisers focus on the Big Five because they appear to give marketers and behavioral manipulators particularly strong tools with which to target us. A recent New York Times story takes some examples from the research of Michael Kosinski, a Stanford University researcher whose work is often placed at the center of these conversations, and which may have been used by Cambridge Analytica. While Kosinski might be a particularly good salesperson for the techniques he employs, we do not have to accept at face value that everything he says is correct to see that the general methods he uses are widely employed, and seem to have significant validity. Kosinski provided the Times with inferences he made about individuals’ OCEAN scores based on nothing more than Facebook “like” data. He generated these inferences by taking a group of experimental participants, ranking their own “like” scores against their own OCEAN scores, and then using machine learning to infer probabilities about the associations of their likes with their OCEAN ranks. In addition to their OCEAN rankings, in some places Kosinski has claimed even more for this technique; in a famous segment in Jamie Bartlett’s recent Secrets of Silicon Valley documentary, Kosinski correctly infers Bartlett’s religious background from his Facebook likes. This is also exactly the kind of aggregate, inferential data about us that the infamous “This Is Your Digital Life” app Facebook has said Cambridge Analytica used to gather information about not just individuals but our friends. Even in the examples Kosinski gives, it is tempting to draw causal relationships between the proffered data and the inferred data. Perhaps people who like A Clockwork Orange are particularly interested in alternate versions of reality, so perhaps this makes them “open” to new experiences; perhaps Marilyn Manson gives off visual or aural cues for being neurotic. This kind of reasoning is just the mistake we need to avoid. These causal relationships may even exist, but it does not matter, and that is not what Kosinski’s techniques aim to discover. The software that decides that more “open” people like A Clockwork Orange is not asking why that is the case; it just is. The same kind of comparisons can be done with any set of data. It could be done with numbers, colors, the speed of mouse clicks, the timber of voice, and many, many other kinds of data. These facts create a huge conundrum for privacy advocates. We might think we have told Facebook that we like A Clockwork Orange, and that that is the end of the story. But what if, by telling them that fact, we have also told them that we are gay, or have cirrhosis of the liver, or always vote against granting zoning permits to large box stores? What if we tell them that not even by something concrete like “liking” a movie, but simply by the speed and direction characteristics of how we use our computer mouse? It is critical to understand that it does not matter whether this information is accurate at the level of each specific individual. Data collectors know it is not entirely accurate. Again, people mistake the correlation for a linear, causal relationship: “if I like hiking as a hobby, I am conscientious.” They then tend to evaluate that relationship on grounds of whether or not it makes sense to them. But this is a mistake. What is accurate about these techniques involves statistical inference. That inference is something along the lines of “75% of those who report they like hiking rank high on the ‘openness’ scale.” Of course it is wrong in some cases. That does not matter. If an advertiser or political operative wants to affect behavior, they look for triggers that motivate people who score highly on the “openness” score. Then they offer products, services, and manipulative media with similar scores. Research into big data analytics is replete with examples of the kinds of inferential and derived data that we need to understand better. Data scientist and mathematician Cathy O’Neil’s important 2016 book Weapons of Math Destruction includes many examples. Some of her examples make sense, even if they offend pretty much any sense of justice we might have: the use of personality tests to screen job applicants based on inferences made about them rather than anything about their work history or qualifications (105-6), or O’Neil’s own experience building a system to determine a shopper’s likelihood to purchase based on their behavior clicking on various ads (46-7). Others derive inferences from data apparently remote from the subject, such as O’Neil’s citation of a Consumer Reports investigation that found a Florida auto insurer basing insurance rates more heavily on credit scores than on accident records (164-5). In that case, observed data (use of credit) is converted into derived data (the details of the credit report) and then, via big data analysis, converted into inferential data (likelihood of making an insurance claim). Automating Equality: How High-Tech Tools Profile, Police, and Punish the Poor, a 2017 volume by political scientist and activist Virginia Eubanks, contains many examples of derived and inferential data being used to harm already-vulnerable members of society, such as an Allegheny County (in Pennsylvania) algorithm that attempted to predict which families were likely to be at high risk for child abuse, but which was based on big data analysis of hundreds of variables, many of which have no proven direct relationship to child abuse, and which ended up disproportionately targeting African American families (Chapter 4). In Chapter of the book Eubanks writes about massive data collection programs in Los Angeles intended to provide housing resources to the homeless, but which end up favoring some individuals over others for reasons that remain opaque to human case workers, and not clearly based on the directly relevant observations about clients that those case workers prefer to make life-changing decisions. In the Cambridge Analytica case, inferential data appears to play a key role. When David Carroll and I requested our data from the company under UK law, the most interesting part of the results was a table of 10 ranked hot-button political issues. No information was provided about how this data was produced, but it clearly cannot have been provided data, as it is not data I have directly provided to anyone; I have not even thought about these issues in this form, and if the data is correct, much of it is news to me. The data is likely not observed, since that would require there to be a forum in which I had taken actions to indicate the relative importance of these issues to me, and I can’t think of any forum in which I’ve done anything close to that. So that leaves inferential and derived data, and both Carroll and I and the analysts we’ve been working with presume that this data is in fact inferred from some large body of data (Cambridge Analytica has at some points claimed to hold upwards of 4000 data points on individuals, on which it performs what Kosinski and others call “psychographics,” which is just the kind of inferential personal data I’ve been talking about used to determine very specific aspects of an individual’s personality, including their susceptibility to various kinds of behavioral manipulation). While it is hard to judge the accuracy of the ranked list precisely (in part because we don’t really know how it was meant to be used), overall it seems quite accurate, and thus offers a fairly complete inferred and/or derived political profile of me based on provided and observed data that likely only had at best a partial relationship to my political leanings. Yes, we should be very concerned about putting direct personal data out onto social media. Obviously, putting “Democrat” or even “#Resist” in your public Twitter profile tells anyone who asks what party we are in. We should be asking hard questions about whether it is wise to allow even that minimal kind of declaration in public and whether it is wise to allow it to be stored in any form, and by whom. But perhaps even more seriously, and much less obviously, we need to be asking who is allowed to process and store information like that, regardless of where they got it from, even if they did not get it directly from us. A side note: academics and activists sometimes protest the inaccessibility of some kinds of data due to the importance of understanding what companies like Facebook are doing with our data. That’s an important conversation to have, but it’s worth noting that both Kosinski and Alexander Kogan, another researcher at the heart of the Cambridge Analytica story, got access to the data they used because they were academics. The content that you share, you put there. You can take it down at any time. The information that we collect, you can choose to have us not collect. You can delete any of it, and, of course, you can leave Facebook if you want. At first glance, this might seem to cover everything users would care about. But read the language closely. The content “users share” and the content that Facebook “collects” name much thinner segments of Facebook’s user data than the words might seem to suggest. Just taking Zuckerberg’s language literally, “the content you share” sounds like provided data, and “the information that we collect” sounds like some unspecified mix of provided and observed data. But what about derived, inferred, and aggregate data? What this kind of data can do for those who want to manipulate us is unknown, but its potential for harm is too clear to be overlooked. The existing regulations and enforcement agreements imposed on Facebook and other data brokers have proven insufficient. If there is one takeaway from the Cambridge Analytica story and the Facebook hearings and so on, it is that democracies, and that means democratic governments, need to get a handle on these phenomena right away, because the general public does not and cannot know the extent to which giving away apparently “impersonal” data might, in fact, reveal our most intimate secrets. Further, as a few commentators have noted, Facebook and Google are the most visible tips of a huge iceberg. The hundreds of data brokers whose entire business consists in selling data about us that we never directly gave to them may be even more concerning, in part because their actions are so much more hidden from the public. Companies like Acxiom aggregate, analyze and sell data, both for advertising and for a wide range of other activities that impact us in many ways we don’t understand at all well enough, up to and including the “social credit score” that the Chinese government appears to be developing to track and control many aspects of public behavior. Possibly even worse, the data fuels the activities of full-scale surveillance companies like Peter Thiel’s Palantir, with which Mark Zuckerberg himself said in his Congressional testimony declared he “isn’t that familiar,” despite Thiel being a very visible and outspoken early Facebook investor mentor to Zuckerberg. Facebook itself has a disturbing interest in the data of people who have not signed up for the service, which just illustrates its similarity to data brokers like Acxiom. 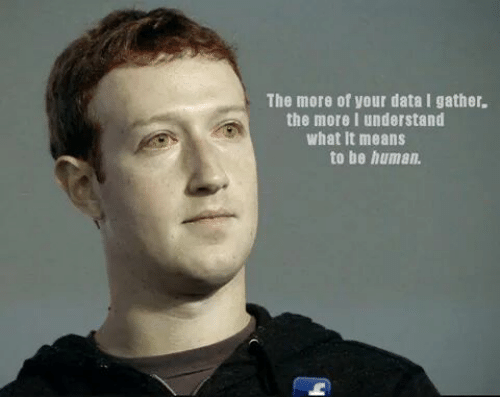 If Facebook and Google and the data brokers were to say, “you can obtain, and if you choose to, delete, all the data we have about you,” or better yet, “you have to actively opt-in to give us your data and agree to the processing we do with it,” that might go a long way toward addressing the kind of concerns I and others have been raising for a long time about what is happening with surveillance and behavioral manipulation in digital technology. But would that even be enough? Is it clear that data “about” me is all the data that is directly attached to my name, or whatever other unique personal identifier Facebook uses? Would these companies even be able to stay in business if they offered users that much control? Even the much-vaunted and very important GDPR is not at all as clear as it could be about the different kinds of data. If we are to rein in the massive invasions of our privacy found in social media, we need to understand much more clearly and specifically what that data is, and what social media companies and data brokers and even academics do with it. Predictive analytics, plagiarism-detection software, facial-recognition technology, chatbots — all the things we talk about lately when we talk about ed tech — are built, maintained, and improved by extracting the work of the people who use the technology: the students. In many cases, student labor is rendered invisible (and uncompensated), and student consent is not taken into account. In other words, students often provide the raw material by which ed tech is developed, improved, and instituted, but their agency is for the most part not an issue. Gilliard gives a couple of examples of ed-tech projects that concern him along these lines. One of them is a project by Prof. Ashok Goel of the Georgia Institute of Technology. Ashok K. Goel, a professor at the Georgia Institute of Technology, used IBM’s “Watson” technology to test a chatbot teaching assistant on his students for a semester. He told them to email “Jill” with any questions but did not tell them that Jill was a bot. how we think about labor and how we think about consent. Students must be given the choice to participate, and must be fully informed that they are part of an experiment or that their work will be used to improve corporate products. In an April 11 letter to the Chronicle, Goel objected to being included in Gilliard’s article. Yet rather than rebutting Gilliard’s critique, Goel’s response affirms both its substance and its spirit. In other words, despite claiming to honor the ethical concerns Gilliard raises, Goel seems not to understand them, and to use his lack of understanding as a rebuttal. This reflects, I think, the incredibly thin understanding of ethics that permeates the world of digital technology, especially but not at all only in education technology. 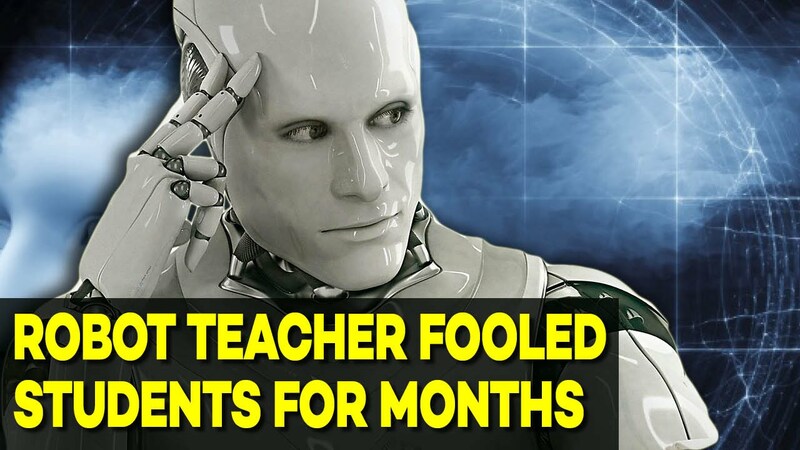 In subsequent offerings of the AI class over the last two years, we have informed the students at the start of the course that one or more of the teaching assistants are a reincarnation of Jill operating under a pseudonym and revealed the identity of the virtual teaching assistant(s) at the end of the course. The response of the several hundred students who have interacted with Jill’s various reincarnations over two years has been overwhelmingly positive. In what follows I am going to assume that Goel raised all the issues he wanted to in his letter. It’s possible that he didn’t; the Chronicle maintains a tight word limit on letters. But it is clear that the issues raised in the letter are the primary ones Goel saw in Gilliard’s article and that he thinks his project raises. In almost every way, the response affirm the claims Gilliard makes, rather than refuting them. First, Gilliard’s article clearly referred to “a semester,” which can only be the first time the chatbot was used, and Goel indicates, without explanation or justification, that he “deliberately elected not to inform the students in advance” about the project during that semester. Yet that deliberation is exactly one of Gilliard’s points: what gives technologists the right to think that they can conduct such experiments without student consent in the first place? Goel does not tell us. That subsequent instances had consent—of a sort, as I discuss next—only reinforces the notion that they should have had consent the first time as well. Respect for persons requires that subjects, to the degree that they are capable, be given the opportunity to choose what shall or shall not happen to them. This opportunity is provided when adequate standards for informed consent are satisfied. If anything the idea of “informed consent” has grown only richer since then. Perhaps Goel allows students to take a different section of the Artificial Intelligence class if they do not want to participate in the Jill Watson experiment. Such a choice would be required for student consent to be “consent.” His letter reads as if Goel does not realize that “informed consent” without choice is not consent at all. If so, this is not an isolated problem. Some have argued, rightly in my opinion, that failure to understand the meaning of “consent” is a structural problem in the world of digital technology, one that ties the behavior of software, platforms and hardware to the sexism and misogyny of techbro culture. Even the Association for Computing Machinery (ACM, the leading professional organization for computer scientists) maintains a “Code of Ethics and Professional Conduct” that speaks directly of “respecting the privacy of others” in a way that is hard to reconcile with the Jill Watson experiment and with much else in the development of digital technology. Further, Goel indicates that the point of the Jill Watson experiment is “an experiment in constructing human-level AI.” He does not make clear whether students are told that this is part of the point of the Watson experiment. He does not make clear that both the pursuit of what he calls “human-level AI,” but many philosophers, cognitive scientists and other researchers, including myself, consider a misapplication of ordinary language, raises on its own significant ethical questions, the nature and extent of which certainly go far beyond what students in a course about AI can possibly have covered before the course begins, if they are covered at all. Do the students truly understand the ethical concerns raised by so-called AIs that can effectively mimic the responses of human teachers? Is their informed consent rich with discussions of the ethical considerations raised by this? Do they understand the labor implications of developing chatbots that can replace human teachers at universities? If so, Prof. Goel does not indicate they are. The sentence about the Watson “experiment” appears to contradict another sentence in the same paragraph, where Goel writes that data generated by the Jill Watson experiment is used “exclusively for partially automating the task of answering questions in subsequent offerings of the course” (emphasis added). Perhaps the meaning of “exclusively” here is that the literal data collected to train Jill Watson is segregated into that project. But the implication of the “experiment” sentence is that whether or not that is the case, the project itself generates knowledge that Goel and his collaborators are using in their other research and even commercial endeavors. This is exactly the concern that is front and center in Gilliard’s article. When the students are fully informed about the ethical and privacy considerations raised by the technology in the course they are about to take, are they provided with a full accounting of Goel’s academic and commercial projects, with detailed explanations of how results developed in the Jill Watson project may or may not play into them? Once again, if so, Goel appears not to think such concerns needed to be mentioned in his letter. At any rate, Goel certainly makes it sound as if the work done by students in the course helps his own research projects, whether in providing training data for the Jill Watson AI model, and/or in providing research feedback for future models. 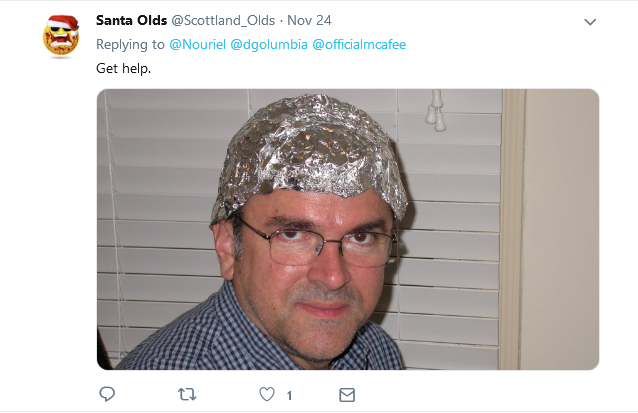 So do the press releases Georgia Tech issues about the project. I presume it is quite possible that this research could lead directly or indirectly to commercial applications. It may already be leading in that direction. Gilliard concludes his article by writing that “When we draft students into education technologies and enlist their labor without their consent or even their ability to choose, we enact a pedagogy of extraction and exploitation.” In his letter Goel entirely overlooks the question of labor and claims that consent simply to have a bot as a virtual TA with no apparent alternative, and without clear discussion of the various ways their participation in this project might inform future research and commercial endeavors, mitigates the exploitation Gilliard writes about. This exchange only demonstrates how much work ethicists have left to do in the field of education technology (and digital technology in general), and how uninterested technologists are in listening to what ethicists have to say. UPDATE, May 3, 5:30pm: soon after posting this story, I was directed by my friends Evan Selinger and Audrey Watters to two papers by Goel that indicate that he had Institutional Review Board (the bodies that implement the Common Rule) approval for the Jill Watson project, and two papers (paper one; paper two) in which he writes at greater length than he does in the Chronicle letter about some ethical implications of the Jill Watson project. I will update this post soon with some reflections on these papers. Since December of last year, I have been part of a small group of concerned citizens engaged in a series of actions against Cambridge Analytica (CA) and its parent corporation, SCL Group. I am writing this post in the hopes of gathering support (that is, funds) we need to continue this action. You can support us at our Crowd Justice page, which has more information. Here I’ve tried to lay out some of the background behind our efforts. The UK has more extensive data protection laws than does the US. Its laws and regulations are administered by the Information Commissioner’s Office (here not standing for Initial Coin Offering). Because CA/SCL, a British company (SCL Group) with an American subsidiary (CA) appears to have directly collected and used data about US citizens in its work for the Cruz and Trump campaigns in the 2016 election, the UK Data Protection Act (DPA) is triggered. The DPA has many provisions for individuals to discover exactly what data is being collected on them and how it is being used. In late 2016, David Carroll of Parsons School of Design and I and a few others, working with data researcher Paul-Olivier Dehaye, and the PersonalData.io project he runs, submitted formal requests to CA/SCL under the UK Data Protection Law, which allows us to see all data companies have about us. During the spring, UK attorney (aka “solicitor”) Ravi Naik of Irvine Thanvi Natas Solicitors took an interest in our efforts and helped to coordinate our requests to CA/SCL. Ravi himself has written an article in The Guardian about the campaign. What is startling about this data, in part, is that it appears to be specifically about how manipulable I might be with regard to central hot button issues in the political public sphere—not necessarily what my opinions are, but whether I would be susceptible to manipulation about issues like “Gun Rights” and “Traditional Social and Moral Values.” In general this psychographic profile strikes me as being plausible, though not necessarily how I consciously think I’d rank all of these issues for myself: but then again, the point of psychographic data is that it knows us better than we know ourselves. We don’t think this information can possibly be complete, since it gives very little sense of what I think about all of these issues, which a marketer like CA/SCL would surely need to take targeted actions based on it—for example, even if environmental issues are at level 10 importance to me, this data does not indicate whether that means I consider the problem to be climate change, or the fact that climate change is a fraud. CA/SCL provided no information whatsoever on where and how this information was gathered, whether it represents a purchase of existing information or analytics performed on a body of data CA/SCL also has but has not disclosed, and so on. In its responses to us, other than the data mentioned above, CA/SCL has engaged in a pattern of bullying and denial that suggests to me, at least, that it has much more to disclose and will do everything in its power not to. In order to take the next step in our legal challenge to CA/SCL, we need to raise £25,000. That is a lot of money. None of the money is going to us; we are raising the money using the established legal crowdfunding site Crowd Justice. The money is needed for two reasons: first, because in the UK, the loser of a lawsuit can be forced to pay the winner’s legal fees (so-called “adverse fees”). If we sue CA/SCL and lose, we could be liable for the fees CA/SCL has paid to its attorneys. With the Mercers backing CA/SCL, we are already certain that they will be using some of the highest-priced corporate attorneys available. Second, the money is needed to pay our own legal fees and to partly reimburse the solicitors working on the case for their time, even though most of their time is being donated. 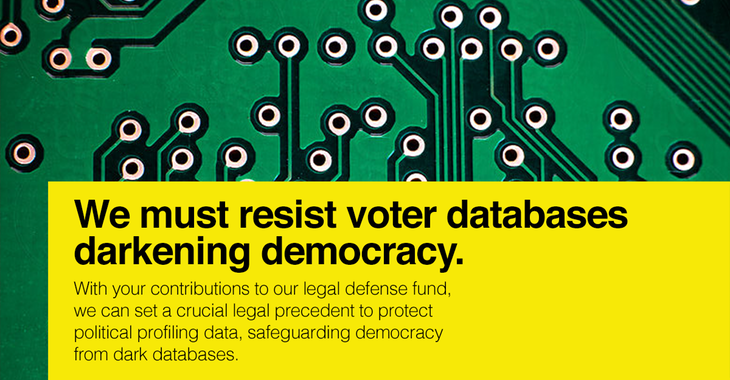 We believe that continuing to force this issue could ultimately cause CA/SCL to release all of its data on the 2016 Presidential election, and possibly even the Brexit campaign. We also believe it may have extremely positive effects in preventing CA/SCL and other organizations from engaging in similar actions in the future. We have at this point raised about £20,000 of the initial £25,000 we need to raise to start actions beyond making our subject data requests under the DPA. If you are at all inclined to help us in this effort, please visit our Crowd Justice page. The question of the militarization of language emerges from the politics surrounding cryptography, or the use of encryption in contemporary networked digital technology, and the intersection of encryption with the politics of language. Ultimately, cryptographic politics aims to embody at a foundational level a theory of language that some recent philosophers, including Charles Taylor and Philip Pettit, locate partly in the writings of Thomas Hobbes. As in Hobbes’s political theory, this theory of language is closely tied to the conception of political sovereignty as necessarily absolute and as the only available alternative to absolute sovereignty being a state of nature (or more accurately what Pettit 2008 calls a “second state of nature,” one in which language plays a key role). In that state of nature, the only possible political relation is what Hobbes calls a war of “all against all.” While Hobbes intended that image as a justification for the quasi-absolute power of the political sovereign, those who most vigorously pursue cryptographic politics appear bent on realizing it as a welcome sociopolitical goal. To reject that vision, we need to adopt a different picture of language and of sovereignty itself, a less individualistic picture that incorporates a more robust sense of shared and community responsibility and that entails serious questions about the political consequences of the cryptographic program. If you’d like a copy and do have institutional access, please use this official link to the article at boundary 2 at Duke University Press. If you don’t have institutional access and would like a copy, please email me (dgolumbia-at-gmail-dot-com) or access a copy at academia.edu. In what purport to be responses or rebuttals to critiques I and others have offered of Digital Humanities (DH), my argument is routinely misrepresented in a fundamental way. I am almost always said to oppose the use of digital technology in the humanities. This happens despite the fact that I and those I have worked with use digital technologies in hundreds of ways in our research and that our critiques—typically including exactly the ones DHers are responding to—make this explicit. This is what I mean when I describe DH as an ideological formation, more than it is a method or set of methods. The destructiveness in the ideological formation is what I oppose, not the use of tools per se, or even the actual work done by at least some in DH. The ideological formation, I have argued, is what distinguishes DH from the fields that preceded it (that is not to say that computational ideologies were not present in Humanities Computing—they certainly were—but they had failed to find the institutional purchase and power DH was seeking, which is why Humanities Computing needed to be transmuted into DH). Further, I have argued repeatedly that this destructiveness is an inherent feature of DH, perhaps even its most important constitutive feature: that is to say that the most common shared feature in DH work is its “incidental” destructiveness toward whatever it declares not to be part of itself. There are deep and interesting ideological reasons why the apparent championing of digital tools should overlap with this overtly destructive attitude toward humanistic research, some of which I’ve just touched on in a recent post, “The Destructiveness of the Digital.” It has something to do with the destructiveness toward whatever is considered “non-digital” among digital partisans, which is part of why I have called DH the “cyberlibertarian humanities” (a claim that is just as routinely misrepresented by DH responders as is the rest of my critique). That, to me, summarizes DH—or at least the part of DH that concerns me and others very greatly—in one compact sentence. Now I’m sure, as soon as I point it out, there will be a lot of backtracking and spin to claim that this sentence means something other than what it clearly seems to. This is true even though practice shows that the plain reading is correct, and that DHers frequently speak in disparaging and dismissive ways about the rest of literary studies. Yet when pressed, and this is part of why I see DH as resembling so many other rightist formations, rather than simply owning and admitting its disparagement of other approaches, DH starts to blame those who point it out and portray itself as the victim. Further, that quotation has been out there now for over a year, and nobody has, as far as I know, bothered to comment or push back on it, despite plenty of opportunities to do so; that fact in itself shows the insensitivity in DH to its own institutional politics. Another concern that has come up deals with public intellectualism, which many scholars and journalists alike have described as being in decline (for example, Nicholas Kristof’s New York Times essay last year). What role, if any, do you think digital work plays? Could the digital humanities (or the digital in the humanities) be a much-needed bridge between the academy and the public, or is this perhaps expecting too much of a discipline? I have a story to tell about this. I was at the digital humanities conference at Stanford one year and there was a luncheon at which Alan Liu spoke. His talk was a plea to have the digital humanities help save the humanities by broadcasting humanities work — in other words, making it public. It was a deeply moving talk. But to her credit, Julia Flanders stood up and said something along the lines of, “We don’t want to save the humanities as they are traditionally constituted.” And she is right. There are institutional problems with the humanities that need to be confronted and those same humanities have participated in criticizing the digital humanities. Digital humanists would be shooting themselves in the foot in trying to help the very humanities discipline that discredits us. In many ways Liu wasn’t addressing the correct audience, because he was speaking to those who critique DH and asking that they take that critical drive that is designed to make the world a better place and put it into forging a link with the public — making work publicly available. Habermas has said that the project of Enlightenment is unfinished until we take specialist discourses and bring them back to the public. This has traditionally been seen as a lesser thing to do in the humanities. For Habermas, it is seen as the finishing of an intellectual trajectory. This is a trajectory that we have not yet completed and it is something, I think, the digital humanities can offer. The archness and self-contradictory nature of this passage are emblematic of a phenomenon we see more and more of in DH circles. Literally within the same paragraph where she declares that the rest of the humanities should go away, in a remarkable instance of what I like to call right reaction and what Michael Kimmel calls aggrieved entitlement, Mandell says that is the rest of the humanities that are engaged in “discrediting” DH. One has to ask: what is the proper way for “non-DH” humanists to react to a very successful effort—in many places, literally the only thing administrators know about what is happening in English departments these days—that says that the humanities shouldn’t be saved? To simply stop practicing our discipline? And given that your project is predicated on ending the rest of the humanities, how could any response that disagrees with that not also be (wrongly) construed as “discrediting” your practice? It’s also worth noting that in Mandell’s story, Alan Liu is the one making the request to support the humanities, and that Liu is one of the few English professors identified with and accepted by the DH community who has refused to give ground on the importance of non-DH literary studies. In other words, his request could and should have been met with sympathy and respect, if DH really did not contain a kernel of destructive animus toward the rest of the humanities. It’s worth noting that as this microcosmic scene suggests, Liu’s efforts to get the DH community to support non-DH literary studies have seen very little uptake. In fact, if we step back from the scene just a bit, it is a bit bizarre to imagine the scene, where one digitally-respected senior scholar says “please don’t kill the rest of the humanities,” and a few others say, “no, we want to kill them.” Of all the people in the world who should be speaking up to kill the rest of the humanities, how did we get to the place where it is people who are nominally literature scholars leading the charge? The answer to that is DH: not the use of tools and building of archives—more power to them—but the destructive, “digitally”-grounded ideology that DH is built from and that it revels in. The one that says all other forms of knowledge have suddenly become outmoded and “traditional,” and this one new way is now the exclusive way forward. I doubt it will surprise anyone familiar with my way of thinking that I wrote this with an eye toward precisely the way that the idea of “traditional” is used in DH: DH has always cast the rest of the humanities as “traditional,” in just the way that Wallerstein notes—and this despite the incredibly variety of approaches (including the very approaches that ground DH) that “traditional” seems to indicate. This alignment of the DH project against what it falsely projects as “traditional” academic practice is part of why I see it as closely aligned with neoliberalism, in a deep and fundamental way that can’t be ameliorated by ad-hoc patches applied here and there. Until DH confronts the way that it has from its inception been deeply imbricated in a cultural conversation according to which technology points toward the future and everything (supposedly) “non-technological” points to the past, it will be unable to come to terms with itself as the ideological formation I and many others see it as. The fact that this can occur within a disciplinary milieu where the identification of ideological formations had until very recently been a major part of the stock in trade is not just ironic, but symptomatic of DH as a politics. When you think about it, one way of looking at the social scene there is that DH scholars, who have in general eschewed and even dismissed the project of interpretation, especially politicized interpretation, in favor of formalism and textual editing and “building,” turn to their colleagues who still do specialize in interpreting ideologies and say, in this one instance, our own profession, that we don’t know how to use the methods in which we specialize. Is that credible? Is it credible that the critics of DH, who typically are people who specialize in sniffing out ideologies, don’t understand how to do ideology critique in our own field, but DHers, who in general avoid ideology critique like the plague, can somehow do it better than we do? Who is attacking whose professionalism here? And what could be more destructive to literary studies than to say that literary scholars do not understand how to do their own work? To end on a positive note: despite being frequently accused of wanting to “end” DH, whatever in the world that would mean, that is only true in a very limited sense: I want to “end” the practice within DH of calling the rest of the humanities “traditional” and “anti-technology” and “out of touch” and “the past.” I want to “end” the rejection of theory and politics and the weird idea that “close reading” is some kind of fetish, within the context of literary studies. I want to end the view that “building” is “doing something,” whereas “writing” is not, and even the view that “building” and “writing” are different kinds of things. I want to end the view that DH is “public” and the rest of literary studies is not. I want DHers to embrace the fact that they are part of the humanities. This might end “DH” per se as an ideological formation, but it would not end the careers of scholars who want to use digital tools in the service of humanities research, of whom I am very much one. One might think that would be asking virtually nothing at all—embrace and support the disciplines of which you are a part—but as the twinned quotation from Flanders and Mandell shows, especially given that it is offered specifically as a rebuke to exactly that request coming from “within” DH, it turns out to be asking a great deal. I’ve argued for a long time along different ways that despite its overt claims to creativity, “building,” “democratization,” and so on, digital culture is at least partly also characterized by profoundly destructive impulses. While digital promoters love to focus on the great things that will come from some new version of something over its existing version, I can’t help focusing on what their promotion says—implicitly or explicitly—about the thing they claim to be replacing, typically at profit to themselves, whether in terms of political or personal power (broadly speaking) or financial gain. Note that it is in no way a contradiction for both destructiveness and creativity to exist at the same time, something I repeatedly try to explain without much success. In fact it would be odd for only one or the other to exist, and one does not negate the other, at least not as a rule. The fact that there is a lot of creativity in digital culture does not directly address the question of whether there is also destructiveness. Further, the continual response that creativity does negate the destructiveness shifts the terms of discussion so that we can’t really deal as directly as we should with the destructiveness. I’m not going to go into these arguments in detail right now, but just want to present a particularly clear example of digital destructiveness I happened to hear recently. On April 11 on a regular segment called “Game On” of a BBC Radio 4 program called “Let’s Talk About Tech” (the episode is available for listening and download through early May), host Danny Wallace interviews Hilmar Veigar Pétursson, CEO of CCP, the publisher of the MMORPG EVE Online (“a space-based, persistent world massively multiplayer online role-playing game”), on the occasion of that game’s winning a BAFTA award in the “evolving games” category. In the final exchange in the interview (starting around minute 23), Wallace asks Pétursson to reflect more generally about the nature of games and gaming. I’ve transcribed the whole exchange below. Wallace sets the stage by invoking the defensive aggrieved entitlement of the gamer, which is symptomatically portrayed in the voice of the scolding critic who essentially declares video games not to be art (with no interrogation of what “art” means exactly–just not “frivolous”), but Pétursson’s response goes well beyond what Wallace asks. Asked to articulate the value of EVE Online, Pétursson turns to attack (literally) all other forms of media, and in particular to disparage the entire project of reading. The claim on the surface has to be that all the kinds of philosophical and narrative engagement one experiences in books can be better experienced in video games than by reading the books and other texts (and experiencing the other media) out of which all world cultures emerge. So we move from a largely fictional dismissal of the value of one medium—games—to an explicit and disparaging rejection of all other forms of media. Further, this disparagement rests on an unsurprising and completely unsophisticated account of what media consumption is really like—a wildly undertheorized presumption that looking at screens and using a pointing device constitutes “interaction” in a way that reading or listening to the radio or even watching screens without a pointing device at the ready does not. That whole frame is inaccurate: it suggests something massively untrue about the experience of reading (and even more of listening and talking) that no careful study of the subject would support, and also a conception of what happens when we play games that is deeply interested. After all, anyone who has ever participated in a raid in World of Warcraft knows that the feeling of suture and of interactivity that players have is, at best, profoundly weird: most of what is going on in the game and on the screen is absolutely not under the player’s “control,” and what is under “control” is a highly limited set of device clicks and gestures that certainly give or go along with the feeling of being “in the game,” but are in fact very different from actually playing a game with one’s body (here thinking of a game like basketball or baseball). Further, that fictional relationship—the immersive sense that one is in the game and participating with the other elements of it—is philosophically much harder to distinguish than one might expect from the suturing relationship the viewer or reader has to text and media of various sorts. The questions of why and how I identify with my avatar in a video game as over against why and how I identify with the main character or analytical perspective offered in a book, or a movie, and so on, are fascinating ones without easy answers. Of course, digital utopians long ago decided that digital media are “interactive” in a way other media aren’t, a notion that is itself built on a serious disparagement of anything non-digital (or anything digital utopians don’t like). One of my main concerns with the destructiveness of digital culture has been precisely its disparagement and dismissal of all forms of knowledge that the digerati deem “traditional” or “out of date” or “fruitless,” typically with very little exposure to those forms of knowledge. I am especially concerned with what this perspective teaches with regard to politics. Politics is very complicated terrain for all of us, even those of us who study it for a living. Understanding how various political forces operate and take advantage of popular energy and opinion is among the most urgent political tasks of our time. It is beyond doubt that the rise of authoritarian populism in our time is fueled in part with a studied agnotology, with the promotion of ignorance about politics that makes people particularly vulnerable to manipulation. Due to the game’s focus on freedom, consequence, and autonomy, many behaviors that are considered griefing in most MMOs are allowed in EVE. This includes stealing from other players, extortion, and causing other players to be killed by large groups of NPCs. I don’t know if there’s any connection between Pétursson’s destructive attitude toward non-game forms of media and this overt hostility toward the ethical principles of social behavior that many of us adhere to. 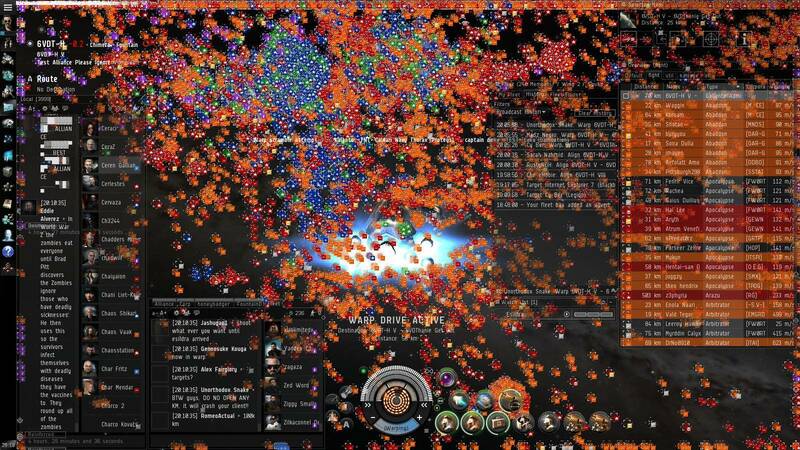 I don’t know whether players of EVE Online share Pétursson’s hostility. But it’s hard not to wonder. And of course that isn’t even really the point. 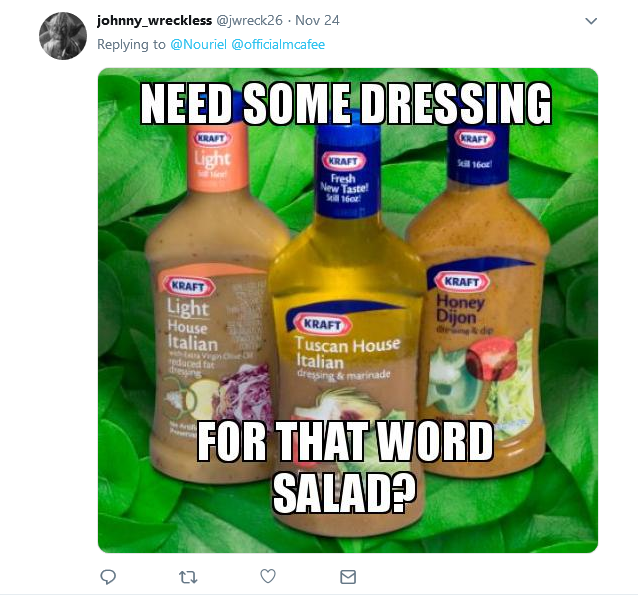 The point is that this hostility to anything that is currently identified as not being part of the digital is visible all over the place in digital culture. It is far in excess of what celebration of cool new things requires. And it is completely unmotivated. Large-category new forms of media do not eliminate or obviate older ones: movies didn’t eliminate books, television didn’t actually eliminate radio, and so on. You don’t have to hate books and movies and tv to enjoy games. You don’t have to hate to be part of the “new.” Unfortunately, too many people apparently think otherwise. The old brain, the old parts of the media, for instance, and social commentators, and people who are cultural commentators, will say all video games, they’re just video games. They’re just for kids, or miscreants living in their parents’ basements. That is.. that’s firmly disappearing now, that point of view, isn’t it. You’ve lasted long enough to outlive the people who said, why on earth are you making, spending all this time and all this effort making something as frivolous as video games. Yeah, I mean, in some aspects, we’re making computer games. And many aspects of EVE are like that. But there are also aspects of EVE which is nothing like that, which are so fundamentally unique, you can’t really… you would have to scramble for analogies. It really is a virtual life, where people live out. They do work, they trade, they build social structures, they make friends, they succeed, they fail, they learn, they have lessons in leadership, trust. It’s an extraordinarily beneficial activity, I would argue. And that’s not just my own point. I have thousands, tens of thousands of people that just fundamentally agree with me. So it’s an element of truth, once you get enough people to agree with it. So I’ve never really looked at it like that. The fact that we’re classified as a computer game, I mean, doesn’t really bother me. It helps people understand what it is. It’s not like I have a very good classification for what we really are: something virtual worlds, virtual life, social economy, I mean there are many analogies you can bring to it. But yeah, we’ve never really thought of it as just being computer games. I would then argue, I mean there’s a lot of other things in human endeavors which are frankly uninteresting. If you look at most media, it’s broadcast to consumer and there’s no participation. Why is reading a book considered a better activity than playing a game? At least in a game you’re participating. In a book you’re just wallowing in some other’s imagination. How is that a fruitful activity? It’s very equivalent to watching TV. I find reading books… I generally frown upon it. I would rather play a game. I learn more from computer games than books. “Traditional” is one of the more interesting words to keep track of in contemporary discourse, particularly when it comes up in discussions of technology. For the most part, it is used as a slur. It’s an implicit slur: after all, in a variety of contexts, “traditions” and “traditional” are words that point to good things, things we (apparently) value, things we don’t necessarily want to change. Though these days, more and more, especially in discussions of technology and the economy, it’s the slur meaning that predominates. I’ve always noticed this and meant to write a brief note about it, since it seems to me the question of what is “traditional” and what isn’t is highly relative and mobile. Before I could get around to that, though, I ran across a surprisingly pointed discussion of this term in an unexpected source: the short 1983 book Historical Capitalism (London: Verso), by the Marxist world-systems theorist and sociologist Immanuel Wallerstein. A lasting division of the world into core, semi-periphery, and periphery is an inherent feature of world-system theory. Other theories, partially drawn on by Wallerstein, leave out the semi-periphery and do not allow for a grayscale of development. Areas which have so far remained outside the reach of the world-system enter it at the stage of “periphery”. There is a fundamental and institutionally stabilized “division of labor” between core and periphery: while the core has a high level of technological development and manufactures complex products, the role of the periphery is to supply raw materials, agricultural products, and cheap labor for the expanding agents of the core. Economic exchange between core and periphery takes place on unequal terms: the periphery is forced to sell its products at low prices, but has to buy the core’s products at comparatively high prices. Once established, this unequal state tends to stabilize itself due to inherent, quasi-deterministic constraints. The statuses of core and periphery are not exclusive and fixed geographically, but are relative to each other. A zone defined as “semi-periphery” acts as a periphery to the core and as a core to the periphery. At the end of the 20th century, this zone would comprise Eastern Europe, China, Brazil, and Mexico. It is important to note that core and peripheral zones can co-exist in the same location. Yet what is sometimes less understood is that Wallerstein is a theorist of race and its critical role in the establishment of capitalism, that much of his early work focused on Africa, that he considers himself profoundly influenced by the anticolonial writer Frantz Fanon. 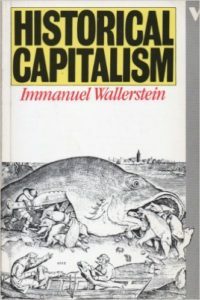 Wallerstein describes Historical Capitalism as an attempt “to see capitalism as a historical system, over the whole of its history and in concrete unique reality” (7). The book is made up of revisions of three lectures Wallerstein gave in 1982 along with a new conclusion. The first chapter, Wallerstein says, is largely devoted to economics; the second to politics, and the third, which I’ll be discussing here, to culture. Its title is “Truth as Opiate: Rationality and Rationalization.” Somewhat surprisingly, the word “traditional” occupies a central place in Wallerstein’s analysis. Historical capitalism has been, we know, Promethean in its aspirations. Although scientific and technological change has been a constant of human historical activity, it is only with historical capitalism that Prometheus, always there, has been ‘unbound,’ in David Landes’s phrase. The basic collective image we now have of this scientific culture of historical capitalism is that it was propounded by noble knights against the staunch resistance of the forces of ‘traditional,’ non-scientific culture. In the seventeenth century, it was Galileo against the Church; in the twentieth, the ‘modernizer’ against the mullah. At all points, it was said to have been ‘rationality’ versus ‘superstition,’ and ‘freedom’ versus ‘intellectual oppression.’ This was presumed to be parallel to (even identical with) the revolt in the arena of the political economy of the bourgeois entrepreneur against the aristocratic landlord. Wallerstein uses the past tense in these formulations because he is discussing the historical formation of racial discrimination, especially when racial categorizations were explicit and legal; he is not suggesting that racism does not still exist. But because “in the past fifty to one hundred years, it has been under sharp attack” (80), a complementary ideology has moved to center stage, namely what Wallerstein calls “universalism.” Belief in universalism “has been the keystone of the ideological arch of historical capitalism” (81). concept of a neutral ‘universal’ culture to which the cadres of the world division of labor would be ‘assimilated’ (the passive voice being important here) hence came to serve as one of the pillars of the world-system as it historically evolved. The exaltation of progress, and later of ‘modernization,’ summarized this set of ideas, which served less as true norms of social action than as status-symbols of obeisance and of participation in the world’s upper strata. The break from the supposedly culturally-narrow religious bases of knowledge in favor of supposedly trans-cultural scientific bases of knowledge served as the self-justification of a particular pernicious form of cultural imperialism. There is much more to Wallerstein’s compact and dense argument, including many important reflections on the profoundly ambivalent relationship of technological progress and cultural nationalism to socialism, and I recommend the book in its entirety. But I am primarily interested here in the consequences of Wallerstein’s work for understanding the deployment of the concept of “traditional” in contemporary technological discourse. In my opinion, “traditional” is a word, and a concept, that should be avoided in thoughtful work about technology, economics, and “progress,” as it is an almost-entirely ideological label, one that is even more than what I earlier called it, a “slur.” Indeed, it is not merely a label: it is an ideological lever, a tool used to organize the world so as to maximize power for the ones doing the labeling, and to disempower the lives and cultures of those to whom the label is applied, and to make them available for resource exploitation. Work on this piece benefited greatly from conversations with Tressie McMillan Cottom and Audrey Watters. 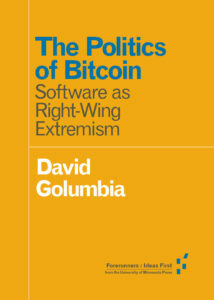 Production constraints and editorial guidelines required The Politics of Bitcoin, in both its print and electronic versions, to include only the base URLs of online materials referenced in the book, and even in the electronic version these aren’t live links. In addition, space constraints meant that some work valuable to me in composing the book had to be cut out. What follows is a fuller bibliography of the works referenced or that I’d have liked to have referenced in the book, complete with working URLs to online materials. Abel, Andrew B., Ben S. Bernanke, and Dean Croushore. 2008. Macroeconomics. Third edition. Boston: Pearson. Allen, Katie. 2013. “Gold Price Volatility Hits Pawnbroker’s Profits.” The Guardian (September). http://www.theguardian.com/business/2013/sep/29/gold-price-volatility-pawnbroker-profits. Ames, Mark. 2015. “Google Is Helping to Fund the Group That’s Trying to Kill Obamacare in the Supreme Court.” Pando Daily (March 18). http://pando.com/2015/03/18/google-is-helping-to-fund-the-group-thats-trying-to-kill-obamacare-in-the-supreme-court/. Andolfatto, David. (2013). “Why Gold and Bitcoin Make Lousy Money.” Economist’s View (April). http://economistsview.typepad.com/economistsview/2013/04/why-gold-and-Bitcoin-make-lousy-money.html. Andreessen, Marc. 2014. “Why Bitcoin Matters.” The New York Times (January). http://dealbook.nytimes.com/2014/01/21/why-Bitcoin-matters/?_php=true&_type=blogs&_php=true&_type=blogs&_r=1. Antonopoulos, Andreas M. 2014. Mastering Bitcoin. Sebastopol, CA: O’Reilly Media. Aziz, John. 2014. “Why Won’t Inflation Conspiracy Theories Just Die Already?” The Week (August 14). http://theweek.com/articles/444851/why-wont-inflation-conspiracy-theories-just-die-already. ——. 2013. “Is Inflation Always and Everywhere a Monetary Phenomenon?” Azizonomics (March 10). http://azizonomics.com/2013/03/10/is-inflation-always-and-everywhere-a-monetary-phenomenon/. Barbrook, Richard, and Andy Cameron. 1996. “The Californian Ideology.” Science as Culture 6:1 (January). 44-72. Barlow, John Perry. 1996. “A Declaration of the Independence of Cyberspace.” https://projects.eff.org/~barlow/Declaration-Final.html. Bauwens, Michel. 2014. “A Political Evaluation of Bitcoin.” P2P Foundation (September 9). https://blog.p2pfoundation.net/a-political-evaluation-of-bitcoin/2014/09/09. Beigel, Ofir. 2015. “On Mixers, Tumblers, and Bitcoin Pseudonymity.” Bytecoin (June 10). https://bytecoin.org/blog/on-mixers-tumblers-and-bitcoin-pseudonymity/. Berlet, Chip. 2009. Toxic to Democracy: Conspiracy Theories, Demonization, and Scapegoating. Somerville, MA: Political Research Associates. Berlin, Isaiah. 1958. “Two Concepts of Liberty.” In Liberty. New York: Oxford University Press, 2002. Birchall, Clare. 2006. Knowledge Goes Pop: From Conspiracy Theory to Gossip. Oxford: Berg. Boase, Richard. 2013. “Cypherpunks, Bitcoin & the Myth of Satoshi Nakamoto.” Cybersalon (September 5). http://www.cybersalon.org/cypherpunk/. Borchgrevink, Jonas. 2014. “Ron Paul Loves His Own Ron Paul Coin and Is Positive About Bitcoin.” CryptoCoinsNews (January 16). https://www.cryptocoinsnews.com/ron-paul-loves-ron-paul-coin-positive-bitcoin/. Brands, H. W. 2006. The Money Men: Capitalism, Democracy, and the Hundred Years’ War Over the American Dollar. New York: Norton. Bratich, Jack Z. 2008. Conspiracy Panics: Political Rationality and Popular Culture. Albany, NY: State University of New York Press. Brito, Jerry, and Andrea Castillo. 2013. Bitcoin: A Primer for Policymakers. Arlington, VA: Mercatus Center, George Mason University. Brown, Ellen Hodgson. 2008. Web of Debt: The Shocking Truth about Our Money System and How We Can Break Free. Third edition, revised and expanded. Baton Rouge, LA: Third Millennium Press. Bustillos, Maria. 2015. “Inside the Fight Over Bitcoin’s Future.” The New Yorker (August 25). http://www.newyorker.com/business/currency/inside-the-fight-over-bitcoins-future/. Burdekin, Richard C., and Pierre L. Siklos, eds. 2004. Deflation: Current and Historical Perspectives. New York: Cambridge University Press. Buterin, Vitalik. 2014. “DAOs, DACs, DAs and More: An Incomplete Terminology Guide.” Ethereum blog (May 6). https://blog.ethereum.org/2014/05/06/daos-dacs-das-and-more-an-incomplete-terminology-guide/. Carrico, Dale. 2005. “Pancryptics: Technocultural Transformations of the Subject of Privacy.” PhD Dissertation, University of California-Berkeley, Department of Rhetoric. http://amormundi.blogspot.com/2012/07/pancryptics-my-dissertation-online.html. ——. 2009. “Condensed Critique of Transhumanism.” Amor Mundi (January 25). http://amormundi.blogspot.com/2009/01/condensed-critique-of-transhumanism.html. ——. 2013a. “The Superlative Summary.” Amor Mundi (July 14). http://amormundi.blogspot.com/2013/07/the-superlative-summary.html. ——. 2013b. “Futurological Discourse and Posthuman Terrains.” Existenz (Fall) 8:2. 47-63. http://www.bu.edu/paideia/existenz/volumes/Vol.8-2Carrico.pdf. Casey, Michael J. 2014. “Bitcoin Foundation’s Chief Jon Matonis to Resign.” The Wall Street Journal (October 30). http://www.wsj.com/articles/Bitcoin-foundations-chief-jon-matonis-to-resign-1414691244. Chomsky, Noam. 2015. “Creating the Horror Chamber.” Jacobin (July 28). https://www.jacobinmag.com/2015/07/chomsky-interview-citizens-united-democracy-higher-education/. Clippinger, John H., and David Bollier, eds. 2014. From Bitcoin to Burning Man and Beyond: The Quest for Identity and Autonomy in a Digital Society. Boston, MA: ID3/Off the Common Books. Conner, Claire. 2013. Wrapped in the Flag: What I Learned Growing Up in America’s Radical Right, How I Escaped, and Why My Story Matters Today. Boston: Beacon Press. “Controlled Supply.” Bitcoin wiki. https://en.bitcoin.it/wiki/Controlled_supply. Cox, James. 2013. Bitcoin and Digital Currencies: The New World of Money and Freedom. Baltimore, MD: Laissez Faire Books. Davidson, Paul. 2013. “Is Bitcoin ‘Money’? The Post-Keynesian View.” Real-World Economics Review Blog (November), http://rwer.wordpress.com/2013/11/27/14335/. “Decentralized Autonomous Corporation.” Coinwiki. http://coinwiki.info/en/Decentralized_autonomous_corporation. De Filippi, Primavera. 2016. “We Must Regulate Bitcoin. Problem Is, We Don’t Understand It.” Wired Opinion (March 1). https://www.wired.com/2016/03/must-understand-bitcoin-regulate/. Doherty, Brian. 1995. “The Best of Both Worlds: An Interview with Milton Friedman.” Reason (June 1). http://reason.com/archives/1995/06/01/best-of-both-worlds/print. Duivestein, Sander. 2015. “Bitcoin 2.0 Enables Autonomous, Leaderless Organizations.” Sogeti Labs (March 12). http://labs.sogeti.com/dawn-decentralized-autonomous-corporations/. Duivestein, Sander, and Patrick Savalle. 2014. “Bitcoin 2.0: It’s the Platform, Not the Currency, Stupid!” SlideShare. http://www.slideshare.net/patricksavalle/bitcoin-20. DuPont, Quinn. 2014. 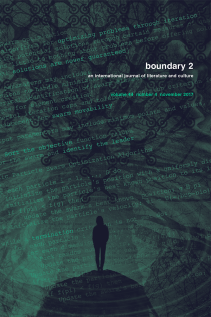 “The Politics of Cryptography: Bitcoin and the Ordering Machines.” Journal of Peer Production 4 (January). http://peerproduction.net/issues/issue-4-value-and-currency/peer-reviewed-articles/the-politics-of-cryptography-bitcoin-and-the-ordering-machines/. DuPont, Quinn, and Bill Maurer. 2015. “Ledgers and Law in the Blockchain.” King’s Review (June 23). http://kingsreview.co.uk/magazine/blog/2015/06/23/ledgers-and-law-in-the-blockchain/. Dyson, Esther, George Gilder, George Keyworth, and Alvin Toffler. 1994. “Cyberspace and the American Dream: A Magna Carta for the Knowledge Age.” Future Insight (August). http://www.pff.org/issues-pubs/futureinsights/fi1.2magnacarta.html. Emery, Joel, and Miranda Stewart. 2015. “All Around the World, Regulators Are Realizing Bitcoin Is Money.” The Conversation (August 11). http://theconversation.com/around-the-world-regulators-are-realising-bitcoin-is-money-45934. Epperson, A. Ralph. 1985. The Unseen Hand: An Introduction to the Conspiratorial View of History. Tucson, AZ: Publius Press. Falkvinge, Rick. 2011. “Why I’m Putting All My Savings into Bitcoin.” Falkvinge.net (May 29). http://falkvinge.net/2011/05/29/why-im-putting-all-my-savings-into-Bitcoin/. ——. 2013a. “The Target Value for Bitcoin Is Not Some $50 or $100. It is $100,000 to $1,000,000.” Falkvinge.net (March 6). http://falkvinge.net/2013/03/06/the-target-value-for-Bitcoin-is-not-some-50-or-100-it-is-100000-to-1000000/. ——. 2013b. “Bitcoin’s Vast Overvaluation Appears Partially Caused by (Usually) Illegal Price-Fixing.” Falkvinge.net (September 13). http://falkvinge.net/2013/09/13/bitcoins-vast-overvaluation-seems-to-be-caused-by-usually-illegal-price-fixing/. Farivar, Cyrus. 2013. “Federal Reserve: While Bitcoins Hold ‘Promise,’ We Have No Regulatory Authority.” Ars Technica (November 18). http://arstechnica.com/tech-policy/2013/11/federal-reserve-while-bitcoins-hold-promise-we-have-no-regulatory-authority/. Federal Reserve Bank of St. Louis. 2015a. “A Closer Look at Open Market Operations.” https://www.stlouisfed.org/in-plain-english/a-closer-look-at-open-market-operations. Federal Reserve Bank of St. Louis. 2015b. “How Monetary Policy Works.” https://www.stlouisfed.org/in-plain-english/how-monetary-policy-works. Felten, Ed. 2014. “Bitcoin Mining Now Dominated By One Pool.” Freedom to Tinker (June 16). https://freedom-to-tinker.com/blog/felten/bitcoin-mining-now-dominated-by-one-pool/. Feuer, Alan. 2013. “The Bitcoin Ideology.” The New York Times (December). http://www.nytimes.com/2013/12/15/sunday-review/the-Bitcoin-ideology.html. Flanders, Laura, ed. 2010. At the Tea Party: The Wing Nuts, Whack Jobs, and Whitey-Whiteness of the New Republican Right… and Why We Should Take It Seriously. New York: OR Books. Foxman, Simone. 2012. “Ron Paul Believes in an Inflation Conspiracy Theory: And Here’s Why It’s Totally Wrong.” Business Insider (February 29). http://www.businessinsider.com/ron-paul-believes-in-an-inflation-conspiracy-theory-here-are-all-the-reasons-why-its-wrong-2012-2. Friedman, Milton. 1963. “Inflation: Causes and Consequences.” In Friedman, Dollars and Deficits: Inflation, Monetary Policy and the Balance of Payments. Englewood Cliffs, NJ: Prentice-Hall, 1968. 21-71. ——. 1993. Why Government Is the Problem. Hoover Institution Essays in Public Policy 38. Stanford, CA: Hoover Institution Press. Frisby, Dominic. 2014. Bitcoin: The Future of Money? London: Unbound. Frontline. 2009. “Interview with Brooksley Born.” (October). PBS. http://www.pbs.org/wgbh/pages/frontline/warning/interviews/born.html. Frisch, Helmut. 1983. Theories of Inflation. New York: Cambridge University Press. Galbraith, John Kenneth. 1975. Money: Whence It Came From, Where It Went. New York: Houghton Mifflin. Galloway, Alexander R. 2014. “The Reticular Fallacy.” The b2 Review (December 17). http://boundary2.org/2014/12/17/the-reticular-fallacy/. Gans, Joshua. 2013. “Time for a Little Bitcoin Discussion.” Economist’s View (December). http://economistsview.typepad.com/economistsview/2013/12/time-for-a-little-Bitcoin-discussion.html. Giddens, Anthony. 1985. The Nation State and Violence: A Contemporary Critique of Historical Materialism, Vol. II. Cambridge: Polity. Gillman, Howard. 1995. The Constitution Besieged: The Rise & Demise of Lochner Era Police Powers Jurisprudence. Durham, NC: Duke University Press. Glaser, Florian, Kai Zimmermann, Martin Haferkorn, Moritz Christian Weber, and Michael Siering. 2014. “Bitcoin: Asset or Currency? Revealing Users’ Hidden Intentions.” Twenty Second European Conference on Information Systems, Tel Aviv. http://papers.ssrn.com/sol3/papers.cfm?abstract_id=2425247. “Gold Fix: The London Gold Fix.” BullionVault, https://www.bullionvault.com/guide/gold/Gold-fix. Golumbia, David. 2009. The Cultural Logic of Computation, Cambridge, MA: Harvard University Press. ——. 2012. “Computerization, Centralization, and Concentration.” uncomputing (October 25). http://www.uncomputing.org/?p=158. ——. 2013a. “Completely Different and Exactly the Same.” uncomputing (March 6). http://www.uncomputing.org/?p=221. ——. 2013b. “Cyberlibertarianism: The Extremist Foundations of ‘Digital Freedom.’” Talk delivered at Clemson University (September). http://www.uncomputing.org/?p=276. ——. 2013c. “Cyberlibertarians’ Digital Deletion of the Left.” Jacobin (December 4). https://www.jacobinmag.com/2013/12/cyberlibertarians-digital-deletion-of-the-left/. ——. 2014a. “Bitcoinsanity 1: The (Ir)relevance of Finance, or, It’s (Not) Different This Time.” uncomputing (January 6). http://www.uncomputing.org/?p=307. ——. 2014b. “Bitcoinsanity 2: Revolutions in Rhetoric.” uncomputing (June 26). http://www.uncomputing.org/?p=1390. ——. In preparation. Cyberlibertarianism: The False Promise of Digital Freedom. Gongloff, Mark. 2013. “Paul Krugman Trolls Bitcoin Fans. Guess What Happens Next.” Huffington Post (December 30). http://www.huffingtonpost.com/2013/12/30/paul-krugman-Bitcoin_n_4518979.html. Goodley, Simon. 2013. “Could Gold Be the Next Libor Scandal?” The Guardian (March). http://www.theguardian.com/business/2013/mar/13/london-financial-sector-gold-market. Greenberg, Andy. 2013. “Meet the ‘Assassination Market’ Creator Who’s Crowdfunding Murder With Bitcoins.” Forbes (November). http://www.forbes.com/sites/andygreenberg/2013/11/18/meet-the-assassination-market-creator-whos-crowdfunding-murder-with-bitcoins/. Griffin, G. Edward. 1998. The Creature from Jekyll Island: A Second Look at the Federal Reserve. Third edition. Westlake Village, CA: American Media. Grimmelmann, James, and Arvind Narayanan. 2016. “The Blockchain Gang.” Slate (February 18). http://www.slate.com/articles/technology/future_tense/2016/02/bitcoin_s_blockchain_technology_won_t_change_everything.html. Hardoon, Deborah. 2015. “Wealth: Having It All and Wanting More.” Oxfam Issue Report (January). http://policy-practice.oxfam.org.uk/publications/wealth-having-it-all-and-wanting-more-338125. Hayase, Nozomi. 2015. “Coding Freedom; Can Blockchain Technology Help Build a Foundation for Real Democracy?” Falkvinge.net (March 22). https://falkvinge.net/2015/03/22/coding-freedom-can-blockchain-technology-help-build-a-foundation-for-real-democracy/. Hearn, Mike. 2016. “The Resolution of the Bitcoin Experiment.” Medium (January 14). https://medium.com/@octskyward/the-resolution-of-the-bitcoin-experiment-dabb30201f7#.9uc9q7y9o. Henwood, Doug. 2014. “Is Bitcoin the Future of Money?” The Nation (April 30). https://www.thenation.com/article/bitcoin-future-money/. Hoepman, Jaap-Henk. 2008. “Distributed Double Spending Prevention.” arXiv. arXiv:0802.0832. “History of Bitcoin.” Wikipedia. https://en.wikipedia.org/wiki/History_of_Bitcoin. “How Does Bitcoin Work?” 2015. Bitcoin.org. https://Bitcoin.org/en/how-it-works. Hughes, Eric. 1993. “A Cypherpunk’s Manifesto.” https://w2.eff.org/Privacy/Crypto/Crypto_misc/cypherpunk.manifesto. Hutchinson, Frances, Mary Mellor, and Wendy Olsen. 2002. The Politics of Money: Towards Sustainability and Economic Democracy, London and Sterling, VA: Pluto Press. Ingham. Geoffrey. 2004. The Nature of Money, Malden, MA: Polity Press. Ito, Joi. 2016. “Why I’m Worried about Bitcoin and the Blockchain.” Coindesk (February 22). http://www.coindesk.com/joi-ito-worried-bitcoin-blockchain/. John Birch Society. 2009. “What Is Money?” http://www.jbs.org/images/pdfs/restore_cm/WhatIsMoney.pdf. Kaminska, Izabella. 2014a. “Shared Database Anarchy + Blockchain.” FT Alphaville (June 13). http://ftalphaville.ft.com/2016/06/03/2164713/shared-database-anarchy-blockchain/. ——. 2014b. “Buiter on Gold, Bitcoin and Subjective Value.” FT Alphaville (November 27). http://ftalphaville.ft.com/2014/11/27/2054112/buiter-on-gold-bitcoin-and-subjective-value/. ——. 2015a. “Do You Have a Finance Degree from the University of Bitcoin?” FT Alphaville (January 13). http://ftalphaville.ft.com/2015/01/13/2087122/do-you-have-a-finance-degree-from-the-university-of-bitcoin/. ——. 2015b. “Bitcoin Continues to Evolve into a Worse Version of the Current System.” FT Alphaville (February 4). http://ftalphaville.ft.com/2015/02/04/2111721/bitcoin-continues-to-evolve-into-a-worse-version-of-the-current-system/. ——. 2015c. “Blockchains as a Public and Private Resource.” FT Alphaville (March 20). http://ftalphaville.ft.com/2015/03/20/2122415/blockchains-as-a-public-and-private-resource/. ——. 2015d. “The Mt.Gox Bitcoin Bubble.” FT Alphaville (August 4). http://ftalphaville.ft.com/2015/08/04/2136420/the-mt-gox-bitcoin-bubble/. ——. 2016a. “Blockchain Hype Storms Davos.” FT Alphaville (January 20). http://ftalphaville.ft.com/2016/01/20/2150706/blockchain-hype-storms-davos/. ——. 2016b. “The New Boss Looks Awfully Like the Old Boss, Bitcoin Edition.” FT Alphaville (October 28). http://ftalphaville.ft.com/2016/10/28/2178242/the-new-boss-looks-awfully-like-the-old-boss-bitcoin-edition/. Kelly, Brian. 2015. The Bitcoin Big Bang: How Alternative Currencies Are About to Change the World. Hoboken, NJ: Wiley. Kostakis, Vasilis, and Chris Giotitsas. 2014. “The (A)Political Economy of Bitcoin.” TripleC: Communication, Capitalism, & Critique 12:2. 431-440. 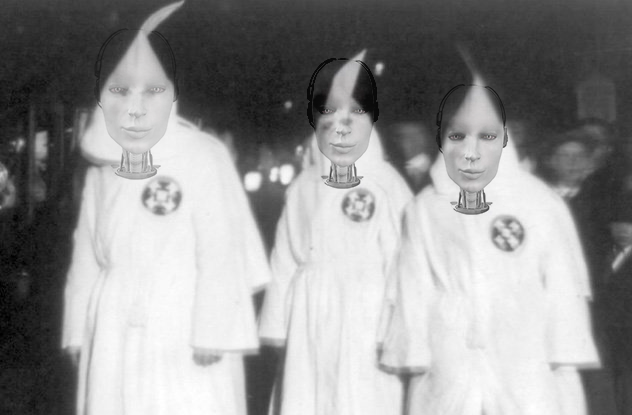 Kroeger, Alexander, and Asani Sarkar. 2016. “Is Bitcoin Really Frictionless?” Liberty Street Economics (March 23). http://libertystreeteconomics.newyorkfed.org/2016/03/is-bitcoin-really-frictionless.html#.VyXze7VMPlA. Krugman, Paul. 2007. “Who Was Milton Friedman?” The New York Review of Books (February 15). http://www.nybooks.com/articles/archives/2007/feb/15/who-was-milton-friedman/. ——. 2011. “Inflation Conspiracy Theories.” The New York Times (December 18). http://krugman.blogs.nytimes.com/2011/12/18/inflation-conspiracy-theories/. ——. 2013. “Bitcoin Is Evil.” The New York Times (December 28). http://krugman.blogs.nytimes.com/2013/12/28/Bitcoin-is-evil/. Langlois, Jill. 2013. “Liberty Reserve Digital Money Service Shut Down, Founder Arrested.” GlobalPost (May 27). http://www.globalpost.com/dispatch/news/business/technology/130527/liberty-reserve-digital-money-service-shut-down-founder-arrested. Lanchester, John. 2016. “When Bitcoin Grows Up.” London Review of Books 38:8 (April 21). 3-12. http://www.lrb.co.uk/v38/n08/john-lanchester/when-bitcoin-grows-up. Larson, Martin. 1975. The Federal Reserve and our Manipulated Dollar: With Comments on the Causes of Wars, Depressions, Inflation and Poverty. Old Greenwich, CT: Devin-Adair. Lepore, Jill. 2010. The Whites of Their Eyes: The Tea Party’s Revolution and the Battle Over American History. Princeton, NJ: Princeton University Press. Levin, Mark R. 2009. Liberty and Tyranny: A Conservative Manifesto. New York: Simon and Schuster. Lind, Michael. 2014. “Why Celebrity ‘Genius’ Peter Thiel Is Grossly Overrated.” Salon (September 11). http://www.salon.com/2014/09/11/meet_the_anti_gay_sexist_celebrity_genius_why_peter_thiel_is_grossly_overrated/. Liu, Alec. 2013. “Why Bitcoins Are Just Like Gold.” VICE Motherboard (March 21). http://motherboard.vice.com/blog/why-bitcoins-are-just-like-gold. Lopp, Jameson. 2016. “Bitcoin and the Rise of the Cypherpunks.” Coindesk (April 9). http://www.coindesk.com/the-rise-of-the-cypherpunks/. Madore, P. H. 2015. “Alleged Sheep Marketplace Owner Identified in Czech Republic.” CryptoCoinsNews (March 29). https://www.cryptocoinsnews.com/alleged-sheep-marketplace-owner-arrested-in-czech-republic/. Malcolm, Jeremy. 2013. “Internet Freedom in a World of States.” Paper presented at WSIS+10 Review (February 27). http://www.intgovforum.org/cms/wks2013/workshop_background_paper/64_1367863304.pdf. Malmo, Christopher. 2015. “Bitcoin Is Unsustainable.” VICE Motherboard (June 29). http://motherboard.vice.com/read/bitcoin-is-unsustainable. Marx, Jared Paul. 2015. “Bitcoin as a Commodity: What the CFTC’s Ruling Means.” CoinDesk (September 21). http://www.coindesk.com/bitcoin-as-a-commodity-what-the-cftcs-ruling-means/. Matonis, Jon. 2012a. “WikiLeaks Bypasses Financial Blockade With Bitcoin.” Forbes (August). http://www.forbes.com/sites/jonmatonis/2012/08/20/wikileaks-bypasses-financial-blockade-with-Bitcoin/. ——. 2012b. “Bitcoin Prevents Monetary Tyranny.” Forbes (October). http://www.forbes.com/sites/jonmatonis/2012/10/04/Bitcoin-prevents-monetary-tyranny/. Maurer, Bill, Taylor C. Nelms and Lana Swartz. 2013. “‘When Perhaps the Real Problem Is Money Itself!’: The Practical Materiality of Bitcoin.” Social Semiotics 23.2 (April). 261-277. May, Timothy C. 1992. “The Crypto-Anarchist Manifesto.” http://www.activism.net/cypherpunk/crypto-anarchy.html. Meiklejohn, Sarah, and Claudio Orlandi. 2015. “Privacy-Enhancing Overlays in Bitcoin.” Financial Cryptography and Data Security 19th Annual Conference. http://fc15.ifca.ai/preproceedings/bitcoin/paper_5.pdf. Mellor, Mary. 2010. The Future of Money: From Financial Crisis to Public Resource, London and Sterling, VA: Pluto Press. Mencimer, Stephanie. 2010. “Glenn Beck’s Golden Fleece: The Right Wing’s Paranoid Pitch for Overpriced Gold.” In Flanders (2010). 247-259. Michaels, Walter Benn. 1988. The Gold Standard and the Logic of Naturalism: American Literature at the Turn of the Century. Berkeley: University of California Press. Mihm, Stephen. 2013. “Are Bitcoins the Criminal’s Best Friend?” Bloomberg View (November). http://www.bloombergview.com/articles/2013-11-18/are-bitcoins-the-criminal-s-best-friend-. Mirowski, Philip. 2014. Never Let a Serious Crisis Go to Waste: How Neoliberalism Survived the Financial Meltdown. New York: Verso Books. Mishkin, Frederic S. 1984. “The Causes of Inflation.” National Bureau of Economic Research Working Paper 1453. Mullins, Eustace. 1992. The World Order: Our Secret Rulers. Revised edition. Staunton, VA: Ezra Pound Institute of Civilization. ——. 1993. The Secrets of the Federal Reserve: The London Connection. Badger House Press. Mulloy, Darren. 2005. American Extremism: History, Politics and the Militia Movement. New York: Routledge. Murray, Cameron (Rumpelstatskin). 2013. “Everything I Was Afraid to Ask About Bitcoin but Did.” Naked Capitalism (November). http://www.nakedcapitalism.com/2013/11/everything-i-was-afraid-to-ask-about-Bitcoin-but-did.html. Nakamoto, Satoshi. 2008. “Bitcoin: A Peer-to-Peer Electronic Cash System.” http://Bitcoin.org/Bitcoin.pdf. ——. 2009. “Bitcoin Open Source Implementation of P2P Currency.” P2P Foundation (February 11). http://p2pfoundation.ning.com/forum/topics/bitcoin-open-source. Naughton, John. 2016. “Is Blockchain the Most Important IT Invention of Our Age?” The Guardian (January 24). http://www.theguardian.com/commentisfree/2016/jan/24/blockchain-bitcoin-technology-most-important-tech-invention-of-our-age-sir-mark-walport. O’Dwyer, Rachel. 2015. “The Revolution Will (Not) Be Decentralized: Blockchain-Based Technologies and the Commons.” https://www.academia.edu/11627298/The_Revolution_Will_not_be_Decentralised_Blockchain-based_Technologies_and_the_Commons. Otar, Okropir. 2015. “Mining Consolidation–The Bitcoin Guillotine?” Bitcoin News Channel (December 20). http://bitcoinnewschannel.com/2015/12/20/mining-consolidation-the-bitcoin-guillotine/. Pagliery, Jose. 2014. Bitcoin: And the Future of Money. Chicago: Triumph Books. Patron, Travis. 2015. The Bitcoin Revolution: An Internet of Money. Diginomics. Paul, Ron. 2003. “Paper Money and Tyranny.” US House of Representatives (September 5). https://web.archive.org/web/20031005222419/http://www.house.gov/paul/congrec/congrec2003/cr090503.htm. Payne, Alex. 2013. “Bitcoin, Magical Thinking, and Political Ideology.” al3x.net (December 18). https://al3x.net/2013/12/18/bitcoin.html. Perelman, Michael. 2007. The Confiscation of American Prosperity: From Right-Wing Extremism and Economic Ideology to the Next Great Depression. New York: Palgrave Macmillan. Pettifor, Ann. 2014. Just Money: How Society Can Break the Despotic Power of Finance, Margate, Kent: Commonwealth Publishing. Piketty, Thomas. 2014. Capital in the 21st Century. Cambridge, MA: Harvard University Press. Popper, Nathaniel. 2015. Digital Gold: Bitcoin and the Inside Story of the Misfits and Millionaires Trying to Reinvent Money. New York: HarperCollins. Powers, Shawn M., and Michael Jablonski. 2015. The Real Cyber War: The Political Economy of Internet Freedom. Urbana, IL: University of Illinois Press. Puddington, Arch. 2013. “The Tea Party’s Views on Tyranny, at Home and Abroad.” Freedom at Issue (September 17). https://freedomhouse.org/blog/tea-party’s-views-tyranny-home-and-abroad. Reagan, Ronald. 1981. Presidential Inaugural Address (January 20). In Gerhard Peters and John T. Woolley, eds. The American Presidency Project. http://www.presidency.ucsb.edu/ws/?pid=43130. Redman, Jamie. 2015. “An Introduction to the Cypherpunk Tale.” Bitcoin.com (August 30). https://www.bitcoin.com/news/introduction-cypherpunk-tale/. ——. 2016. “Central Banks’ Failed Policies Are Strengthening Bitcoin.” Bitcoin.com (January 12). https://news.bitcoin.com/central-banks-failed-policies-strengthening-bitcoin/. Richardson, Tim. 2001. “Beenz Denies It’s About to Be Canned: Global ‘Net’ Currency Devalued Big-Time.” The Register (May 16). http://www.theregister.co.uk/2001/05/16/beenz_denies_its_about/. Rizzo, Pete. 2014a. “$100k Peter Thiel Fellowship Awarded to Ethereum’s Vitalik Buterin.” Coindesk (June 5). http://www.coindesk.com/peter-thiel-fellowship-ethereum-vitalik-buterin/. ——. 2014b. “Tokyo Police Launch Investigation into Missing Mt. Gox Bitcoin.” CoinDesk (July 30). http://www.coindesk.com/japan-police-launch-investigatioRn-missing-mt-gox-Bitcoin/. Robinson, Jeffrey. 2014. Bitcon: The Naked Truth about Bitcoin. Seattle, WA: Amazon Digital Services. “Ron Paul Sites Are Obsessed with Jews, Zionists, and Israel.” 2011. RonPaulSupporters.com (December). http://ronpaulsupporters.com/ron-paul-sites-are-obsessed-with-jews-zionists-and-israel/. Rothbard, Murray. 1974. Egalitarianism as a Revolt Against Nature and Other Essays. Reissued, Auburn, AL: Mises Institute, 2000. ——. 2002. A History of Money and Banking in the United States: The Colonial Era to World War II. Joseph Salerno, ed. Auburn, AL: Mises Institute. Sarkar, Debleena. 2015. “Mark Karpeles Faces New Charges in the Bitcoin Scandal.” International Business Times, Australia Edition (August 3). http://www.ibtimes.com.au/mark-karpeles-faces-new-charges-bitcoin-scandal-1458753. Schneider, Nathan. 2014. “Meet Vitalik Buterin, the 20-Year-Old Who Is Decentralizing Everything.” Shareable (July 31). http://www.shareable.net/blog/meet-vitalik-buterin-the-20-year-old-who-is-decentralizing-everything. Schroeder, Jeanne L. 2015. “Bitcoin and the Uniform Commercial Code.” Cardozo Legal Studies Research Paper No. 458. http://papers.ssrn.com/sol3/papers.cfm?abstract_id=2649441. Scott, Brett. 2014. “Visions of a Techno-Leviathan: The Politics of the Bitcoin Blockchain.” E-International Relations (June). http://www.e-ir.info/2014/06/01/visions-of-a-techno-leviathan-the-politics-of-the-Bitcoin-blockchain/. ——. 2016. “How Can Cryptocurrency and Blockchain Technology Play a Role in Building Social and Solidarity Finance?” United Nations Research Institute for Social Development Working Paper 2016-1. http://www.unrisd.org/brett-scott. Skocpol, Theda, and Vanessa Williamson. 2013. The Tea Party and the Remaking of Republican Conservatism. New York: Oxford University Press. Shoff, Barbara. 2012. “Ron Paul Sound Currency Message is Resonating with Worldwide Leaders, Including China.” PolicyMic (October). http://mic.com/articles/16690/ron-paul-sound-currency-message-is-resonating-with-worldwide-leaders-including-china. Shostak, Frank. 2013. “The Bitcoin Money Myth.” Ludwig von Mises Institute (April). https://mises.org/daily/6411/. Smart, Evander. 2015. “Why Bitcoin Qualifies as Money While the Dollar is Just Currency.” Cryptocoins News (May 4). https://www.cryptocoinsnews.com/bitcoin-qualifies-money-dollar-just-currency/. Soltas, Evan. 2013. “Bitcoin Really Is an Existential Threat to the Modern Liberal State.” Bloomberg View (April). http://www.bloombergview.com/articles/2013-04-05/Bitcoin-really-is-an-existential-threat-to-the-modern-liberal-state. Sorrentino, Nick. 2013. “Paul Krugman Is Scared. He Says ‘Bitcoin Is Evil.’ Undermines Central Banks.” Against Crony Capitalism (December 29). http://www.againstcronycapitalism.org/2013/12/paul-krugman-is-scared-he-says-bitcoin-is-evil-undermines-central-banks/. Southurst, Jon. 2016. “Don’t Listen to the Mainstream Media on Bitcoin or Blockchain.” Coindesk (January 27). http://www.coindesk.com/dont-listen-mainstream-media-bitcoin-blockchain/. Suarez, Daniel. 2006. Daemon. New York: Dutton. ——. 2010. Freedom™. New York: Dutton. Sutton, Anthony C. 1995. The Federal Reserve Conspiracy. Reissued, San Diego, CA: Dauphin Publications, 2014. Swan, Melanie. 2015. Blockchain: Blueprint for a New Economy. Sebastopol, CA: O’Reilly Media. Tapscott, Don, and Alex Tapscott. 2016. Blockchain Revolution: How the Technology Behind Bitcoin Is Changing Money, Business, and the World. New York: Penguin Books. Tucker, Jeffrey A. 2015a. “A Theory of the Scam.” Beautiful Anarchy (January 2). https://tucker.liberty.me/a-theory-of-the-scam/. ——. 2015b. Bit by Bit: How P2P Is Freeing the World. Liberty.me. Turner, Fred. 2008. From Counterculture to Cyberculture: Stewart Brand, the Whole Earth Network, and the Rise of Digital Utopianism. Chicago: University of Chicago Press. Tutino, Antonella, and Carlos E. J. M. Zarazaga. 2014. “Inflation Is Not Always and Everywhere a Monetary Phenomenon.” Economic Letter (June). Dallas, TX: Federal Reserve Bank of Dallas. Tkacz, Nathaniel. 2012. “From Open Source to Open Government: A Critique of Open Politics.” Ephemera: Theory and Politics in Organization 12:4. 386-405. http://www.ephemerajournal.org/sites/default/files/12-4tkacz_0.pdf. Varoufakis, Yanis. 2013. “Bitcoin and the Dangerous Fantasy of ‘Apolitical’ Money.” Yanis Varoufakis (April 22). http://yanisvaroufakis.eu/2013/04/22/Bitcoin-and-the-dangerous-fantasy-of-apolitical-money/. Vigna, Paul, and Michael J. Casey. 2015. The Age of Cryptocurrency: How Bitcoin and Digital Money Are Challenging the Global Economic Order. New York: St. Martin’s. Weber, Max. 1919. “Politics as a Vocation.” In Weber, The Vocation Lectures: “Science as a Vocation,” “Politics as a Vocation.” Indianapolis, IN: Hackett, 2004. 32-94. Welch, Robert. 1966. “The Truth in Time.” American Opinion (November). http://www.ourrepubliconline.com/Article/21. Weiner, Keith. 2013. “Paul Krugman Is Wrong: Bitcoin Isn’t Evil, But Monetary ‘Stimulus’ Is.” Forbes (December). http://www.forbes.com/sites/realspin/2013/12/30/paul-krugman-is-wrong-Bitcoin-isnt-evil-but-monetary-stimulus-is/. Wile, Rob. 2013. “927 People Own Half of All Bitcoins.” Business Insider (December). http://www.businessinsider.com/927-people-own-half-of-the-bitcoins-2013-12. Wilson, Matthew Graham, and Aaron Yelowitz. 2014. “Characteristics of Bitcoin Users: An Analysis of Google Search Data.” SSRN (November 3). http://papers.ssrn.com/sol3/Papers.cfm?abstract_id=2518603. Winner, Langdon. 1997. “Cyberlibertarian Myths and the Prospects for Community.” ACM SIGCAS Computers and Society 27:3 (September). 14-19. Wong, Joon Ian. 2014. “Venture Capital Funding for Bitcoin Startups Triples in 2014.” CoinDesk (December 31). http://www.coindesk.com/venture-capital-funding-bitcoin-startups-triples-2014/. Worstall, Tim. 2013. “Bitcoin Is More Like a Speculative Investment than a Currency.” Forbes (December 23). http://www.forbes.com/sites/timworstall/2013/12/23/bitcoin-is-more-like-a-speculative-investment-than-a-currency/. Yarow, Jay. 2013. “Tech People Are Passing Around this Paul Krugman Quote on the Internet After He Called Bitcoin ‘Evil.’” Business Insider (December 30). http://www.businessinsider.com/paul-krugman-Bitcoin-2013-12. Yermack, David. 2014. “Is Bitcoin a Real Currency? An Economic Appraisal.” SSRN (April). http://papers.ssrn.com/sol3/Papers.cfm?abstract_id=2361599. Zetter, Kim. 2009. “Bullion and Bandits: The Improbable Rise and Fall of E-Gold.” Wired (June 9). http://www.wired.com/2009/06/e-gold/. Zuesse, Eric. 2015. Feudalism, Fascism, Libertarianism and Economics. Bristol, UK: World Economics Association.